Mata’irea Polynesian Culture Preservation is a non-profit 501(c) (3) organization. We ask you to support our organization this year with a donation to our fundraising campaign. Matairea Polynesian Culture Preservation is dedicated to building a strong partnership with the Polynesian people, and to fostering awareness of the culture to the community. Without donations from individuals like you, this would not be possible. Donations help us to sustain our organization, which in turn, benefits the community which we serve. We hope that you will respond positively to our request. Remember that your gift may be tax-deductible to the extent that the IRS allows. (EIN #46-5769043). Your donations can be sent to: Mata’irea Polynesian Culture Preservation, 947 Windsail Lane, Stockton, CA 95206-6213. If you have any questions or need additional information, please contact us at (209) 639-5510. We appreciate any donation that you can offer to our fundraising campaign. 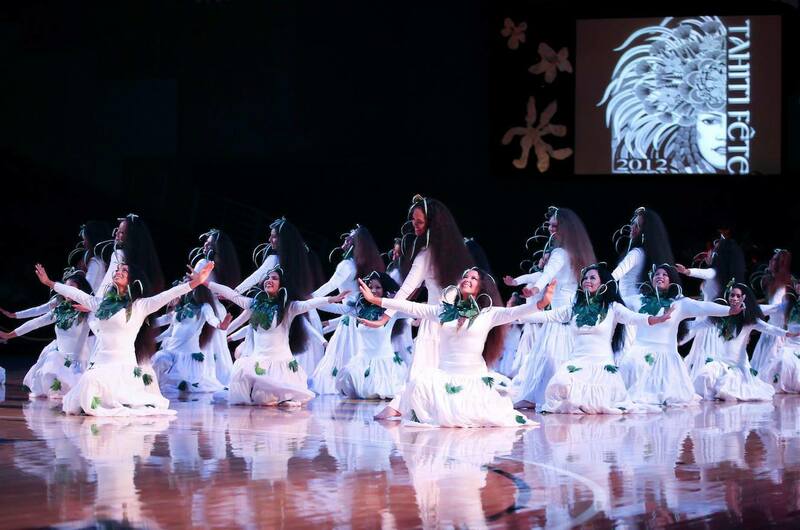 The Ahuroa (picture inset) is a very slow and sensational form of Tahitian dancing. It's more used for women ages twenty-five and older. Like the aparima, the Ahuroa uses intricate hand gestures, but the hips are in more of a swaying action. The costume worn is a long, form fitted dress with sleeves that flow. Only female dancers participate. In terms of music, the dance is performed with a slower tempo. By reducing the tempo of the music, the ‘ahuroa looks similar to the hula ‘auana (modern hula). The Tahitian song used for the ahuroa is to be done to a waltz time. Otherwise, the manner of gesturing, the type of lyrics of the song, and the content that usually appear in an ‘aparima hīmene, are the same. The original innovations introduced to the ‘aparima hīmene to make it the ‘ahuroa were then: the exclusion of men, costuming, a slower tempo, and a waltz.